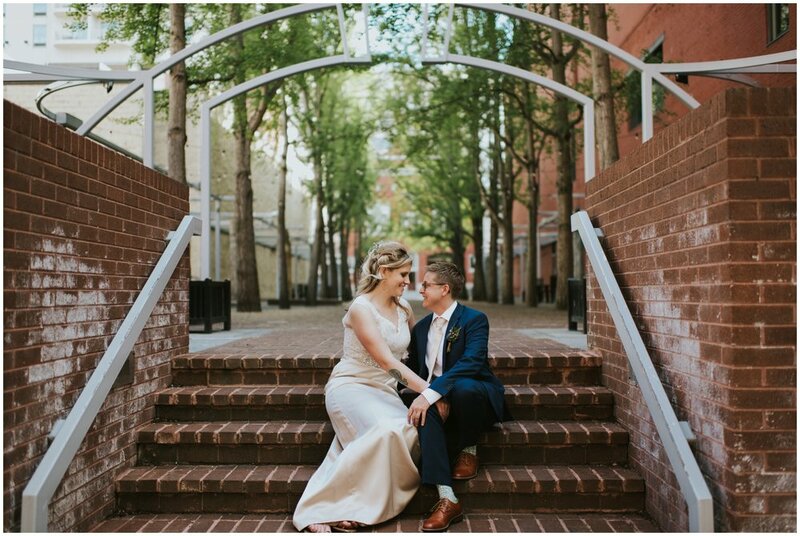 I loved having the opportunity to photograph Hartman + Kelsey's elopement. 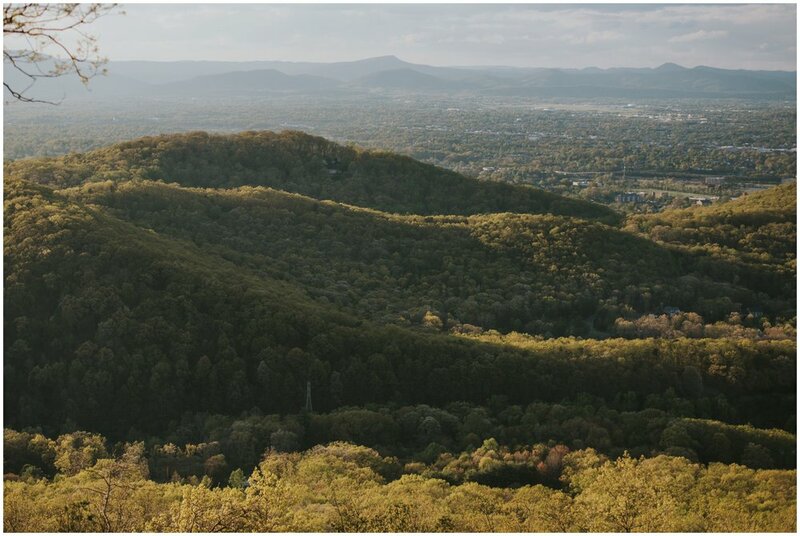 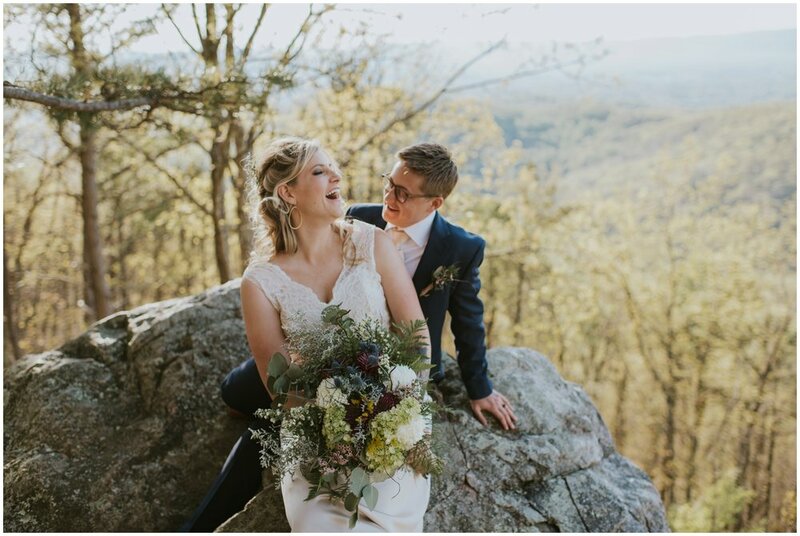 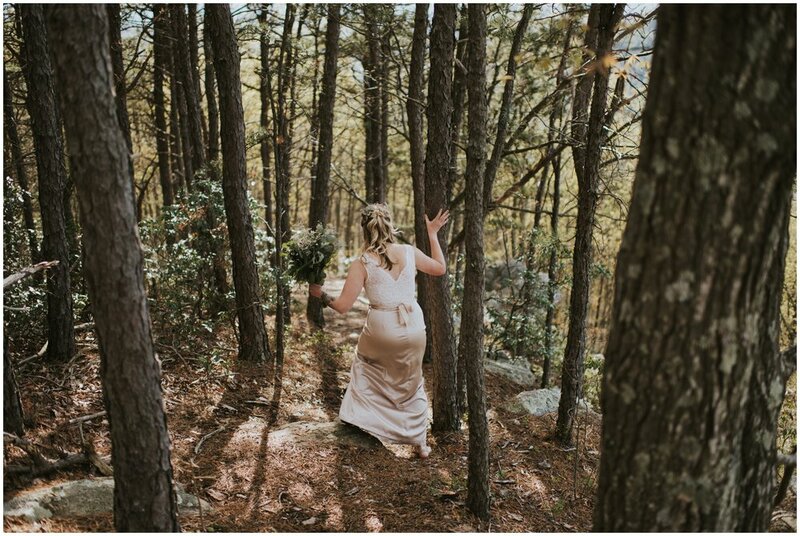 They wanted to keep their wedding intimate and in nature and that's exactly what they did when they eloped ontop of Roanoke Mountain in the beautiful blue ridge mountains. 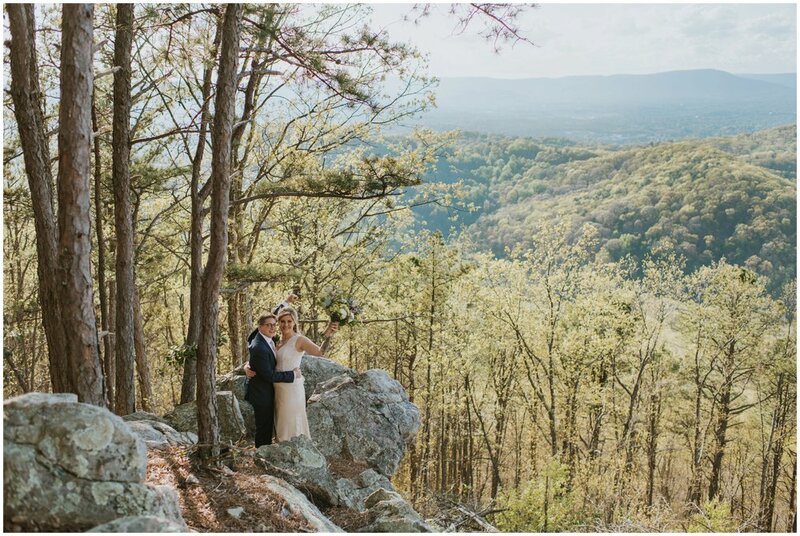 When Hartman first got in touch with me I wasn't sure I'd be able to photograph their wedding since my husband and had just moved across the country but when I told Hartman I was coming into Roanoke for a friends wedding they jumped on the idea and decided to elope right away! 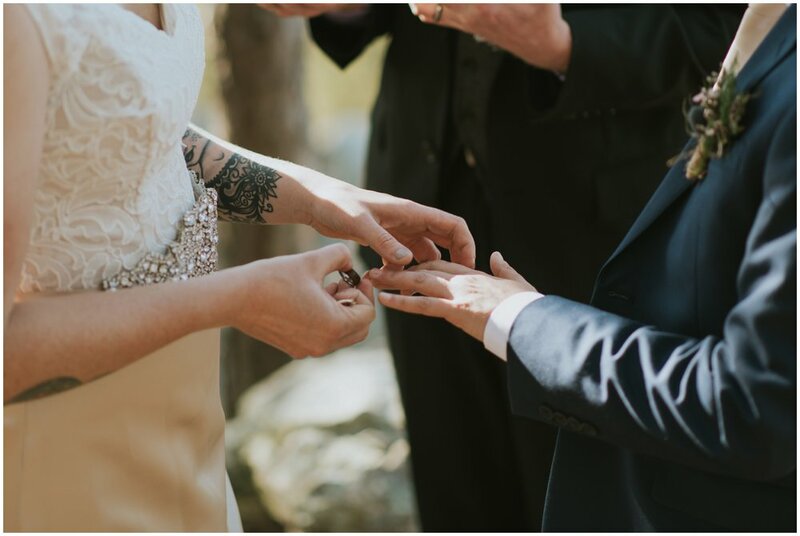 I still can't handle how perfeclty everything worked out. 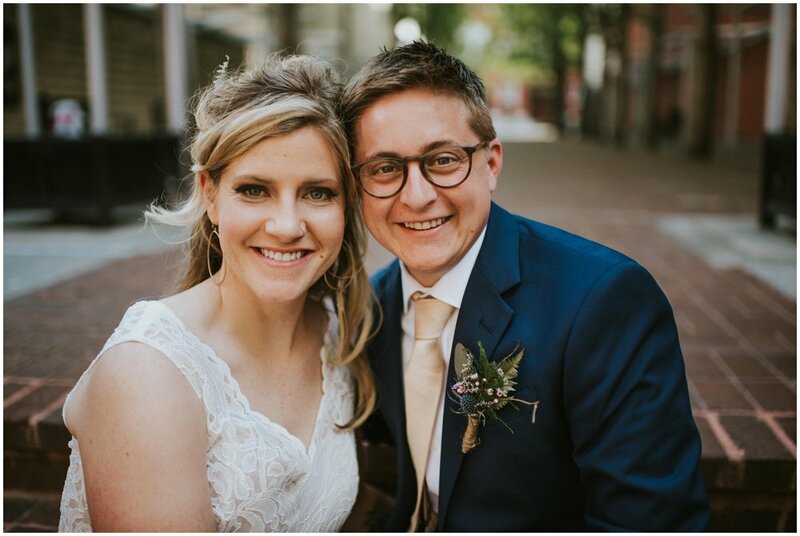 I'm beyond thrilled that I got to capture their special day! 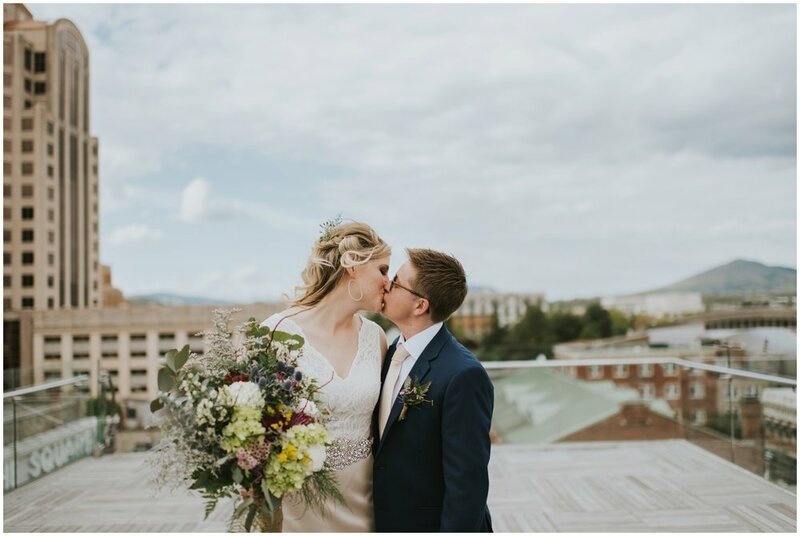 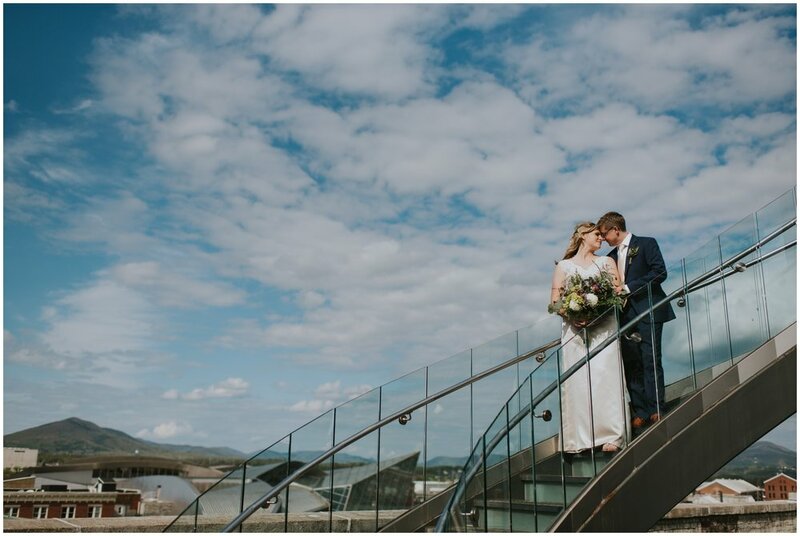 First we met up at Center In The Square in Downtown Roanoke where they played and laughed together on the rooftop and then we headed to the mountains where they exchanged the sweetest tear jerkin' vows. 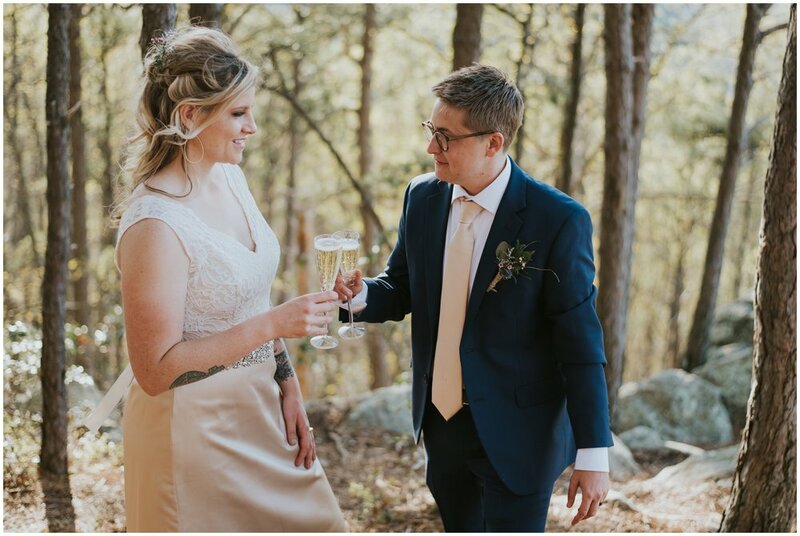 Then they ended the evening ontop of the mountain poppin champange and smoochin. 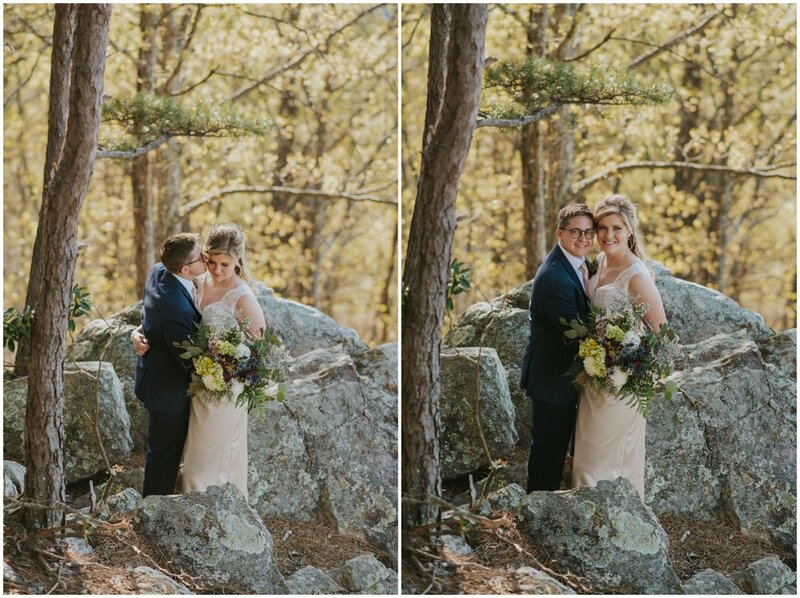 I coudn't be happier for them both they're so obvioulsy smitten with each other. 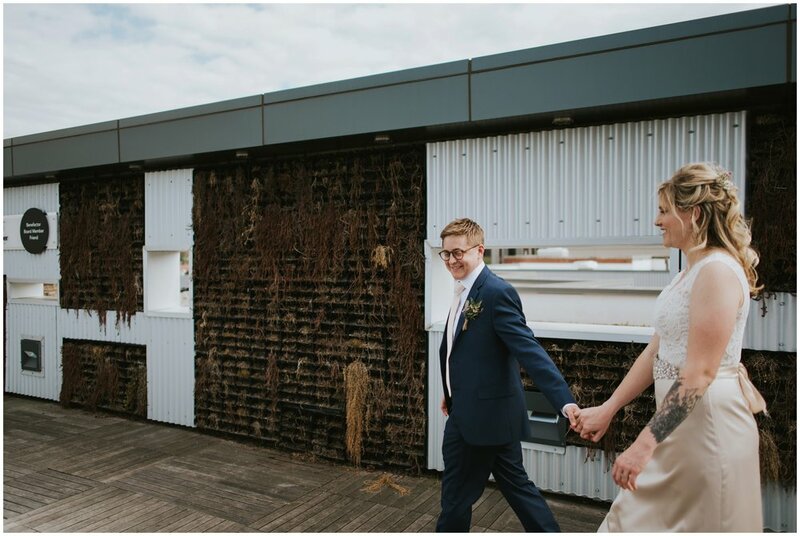 So have a look around + leave some love in the comments for the lovebirds.